This document serves as a guide to allow an applicant SME to quickly assess all relevant information about the open call for micro grants. Call identifier/ title: H2020-INNOSUP-03-07-08-2017 / Cross-border multi-KET projects for integration of clean production in manufacturing small and medium-sized enterprises.  enable cross-border cooperation with two international KET Technology Centres in clean production. During phase 1 (project month 1 to 18), services will be offered by 13 KET technology centres (TCs) of the consortium (see table below), whereas 17 more KET TCs are expected to join in Phase 2 (project month 19 to 36). The applicants must be an SME, compliant to the EU definition1: less than 250 employees; generates no more than EUR 50 million in annual turnover or EUR 43 million in total assets. The applicant must be a single company, not a consortium. Commission’s DG Growth3 on and (2) on the KET4CP mapping4 before submitting a micro grant proposal. Co-financing of 30% must be ensured by the applicant SME (Declaration of Honour).  research and innovation activities at state-of-the-art technology facilities, including for example demonstration, testing, pilot production and related engineering activities.  brokerage to private finance for further investment etc. First, each SME needs to register on the web platform of the KET4CP project (www.ket4sme.eu) to be able to submit a technology request or a micro grant proposal. The KET TCs and their services can be seen on the web platform itself within the publicly accessible map. After the registration, the registered SME will gain access to download all submission documents and establish interactive communication with other registered users, such as KET TCs and partners in the Enterprise Europe Network (EEN). To find a right KET TC partner for a collaborative project a registered SME can submit a technology request (TR). A template for a TR and a TR guide is available for download. Interested SMEs should download a technology request from the KET4CP web platform via www.ket4sme.eu/micro-grants and send it per e-mail to info@ket4sme.eu with the subject “KET4CP | Technology request | Submission”. Following this submission, within a short time (one-two weeks) the SME will receive a short list of expression of interests (EoI) listing KET TCs with a proposed solution. The SME is in charge of choosing its preferred offered solution from this short list within one week (5 working days) and inform the project coordinator via info@ket4sme.eu about its decision on the best suitable EoI. After the SME decision, the project coordinator (Steinbeis S2i) will inform the main contact person (KET TC facilitator volunteer) on the SME’s decision and the KET TC facilitator volunteer proceeds with contacting the SME directly to prepare the micro grant proposal. The KET TC Facilitator Volunteer will support the SME in writing the micro grant proposal (MGP). The KET TC Facilitator Volunteer and the SME will decide on the possible concept for the proposal including at least another KET TC. The second KET TC might be already chosen from the expression of interest. A micro grant proposal form can be submitted at any time while the call for proposals is open until 29 April 2020 or until the maximum funding capacity of the project is reached. The MGP must be submitted electronically in PDF format (max. size of 5.0 MB) via www.ket4sme.eu/micro-grants. Proposals must be submitted by the cut-off date in order to be considered for the respective evaluation round. Late proposals can only be considered in the next cut-off date. If the last cut-off date has passed (29 April 2020), the proposals will not be evaluated anymore. Interested SMEs should download these documents via the KET4CP web platform (www.ket4sme.eu/micro- grants) and send them as one PDF document per e-mail to info@ket4sme.eu with the subject “KET4CP | MGP | Submission”. The SME will receive an e-mail acknowledging the receipt of the submission. No additions or changes within the MGP will be considered after the submission. Applicant SMEs are only allowed to submit one MGP per cut-off date. Upon submission of a micro grant proposal applicant SMEs will receive an email acknowledging the successful submission of their MGP. No guarantee is given at any of these steps that a MGP will be granted. After each cut-off date (every three months) the proposals are being evaluated by an external evaluation board. The first evaluation round begins on 31st July 2018. Each MGP will be assessed by three designated experts after excluding a potential conflict of interest and ensuring confidential handling of the proposal (A non-disclosure agreement between evaluators and coordinator will be signed).  Criteria 3: Quality of implementation (considering quality of work plan and resource deployment). The proposal fails to address the criterion under examination or cannot be judged due to missing or incomplete information. The criterion is addressed in an inadequate manner, or there are serious inherent weaknesses. While the proposal broadly addresses the criterion, there are significant weaknesses. The proposal addresses the criterion well, although improvements would be necessary. The proposal addresses the criterion very well, although certain improvements are still possible. The proposal successfully addresses all relevant aspects of the criterion in question. Based on the external evaluators’ reports, the project coordinator will produce a ranked list of proposals, including all proposals with scores above the qualifying score (total of 12 out of 15) to identify the top-ranked proposals which will be offered funding. The external evaluators will recommend a priority order for proposals with the same score. Approximately one month after a cut-off date the applicant SME will receive a notification stating the outcome of the evaluation, including a short evaluation summary for the submitted micro grant proposal and the decision on the reception or not for a micro grant. Each SME can apply multiple times by submitting a micro grant proposal, but applicants are only allowed to submit one MGP application per cut-off date and can receive the financial support through a micro grant only once during the KET4CP project lifetime. If the evaluation for a micro grant is successful, the applicant SME will receive an invitation to sign a mono- beneficiary grant agreement (GA) with the coordinator of the KET4CP project. This GA needs to be signed by the applicant and returned to the KET4CP project coordinator within 14 days. After the signing of the mono-beneficiary grant agreement the micro grant project can start. The coordinator makes a 50% upfront payment to the applicant SME (pre-financing). The SME has to transfer 50% upfront payment to the KET TCs within one week after signing of the mono-beneficiary grant agreement. The remaining 50% of the micro grant have to be paid by the SME to the KET TCs latest 1 week after receiving the second instalment of the micro grant. The second instalment will be transferred from the KET4CP project coordinator upon successful approval of the micro grant implementation report (submitted by SME after the project ends). Once the micro grant project implementation is completed (latest after 6 months after the starting date), the applicant SME with assistance from the KET-TCs has to submit a micro grant implementation report latest within 1 month after project end. The implementation report form is provided on the web platform and includes a technical report (comprised of a public abstract and a more detailed report on key performance indicators achieved). In the follow-up of the micro grant project phase, the SME further commits to providing feedback on the service that the KET TCs have delivered with the financial support of the micro grant. In detail, the SME agrees to be re- contacted by the consortium for dissemination and communication activities, for example such as to provide a success story, video, or testimonial ...). The SME is also requested to show commitment to be interviewed, for example within the KET4CP Project. 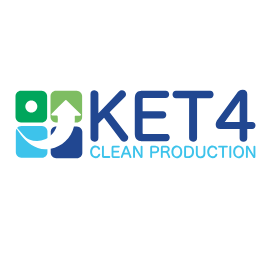 An SME helpdesk is provided in the form of an FAQ section on the KET4Clean Production web platform www.ket4sme.eu highlighting the most frequently asked questions from SMEs. If any further questions appear, SMEs can contact the project coordinator by e-mail via info@ket4sme.eu.